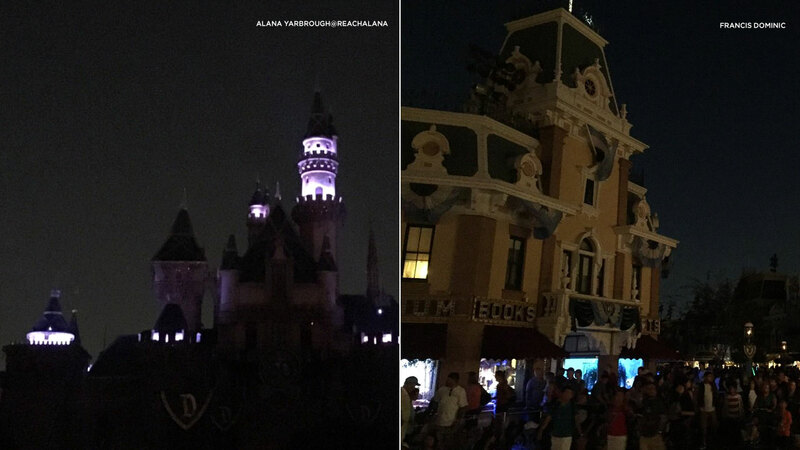 ANAHEIM, CA -- The power went out at Disneyland and surrounding neighborhoods in Anaheim Wednesday night after a transformer blew, officials said. Patrons at the park said lights dimmed only briefly before emergency generators kicked in. Disneyland officials said the impact to the park was minimal. In other parts of Anaheim, the outage lasted about 40 minutes, according to Anaheim Public Utilities. The utility said the transformer, located near Orangewood Avenue and the 5 Freeway, blew at 8:39 p.m.
Officials believe some kind of animal got into a substation, causing the transformer to blow. About 4,400 customers were affected.